The tool the CMS uses to set hospital payments is often inaccurate, resulting in at least $140.5 million in overpayments to 272 hospitals from 2014 to 2017, according to a new report from HHS' Office of Inspector General. The OIG's report released Tuesday recommended an overhaul of the wage index system to mend a number of vulnerabilities. The CMS lacks the authority to penalize hospitals that submit inaccurate wage data and Medicare administrative contractors' limited reviews don't always catch inaccurate data, the report found. The wage index's rural floor and hold-harmless provisions decrease the tool's accuracy, the OIG said. Although the system is budget-neutral, which means that Medicare isn't overspending, some hospitals incorrectly receive too much money while others collect too little. Notably, that $140.5 million sum only reflects the findings of the agency's last five reports. "The accuracy of payments could affect the viability of a hospital that is just on the edge," said Judith Reilly, regional senior auditor at the OIG. The index pulls wage, associated hour and wage-related cost data from hospitals' Medicare cost reports to set payments to hospitals. It also factors in the cost of living as it sets market-based payments, which means a larger hospital would impact an area's wage index more than a smaller facility. Medicare administrative contractors have an 11-week time frame to report any outliers in the data. But the scope and depth of those reviews are limited, according to the report. Also, the CMS cannot retroactively adjust final wage indexes and recover overpayments or remedy underpayments. For instance, contractors did not detect that Danbury (Conn.) Hospital submitted flawed wage data. The hospital overstated wages by approximately $5 million and hours by approximately 9,900 in its cost report, causing Medicare to overpay Danbury Hospital and five other hospitals in its area $990,000 in fiscal 2014, according to the report. Hospitals can put a lot of resources toward taking advantage of the system to maximize reimbursement, said Dave Lamir, regional inspector general of audit services at HHS' OIG. "They want to control their destiny to some degree," he said. The wage index has been a point of contention for rural hospitals, where wages and the cost of living, and thus their payment rates, are typically lower. The index, which was created in the 1980s, has caused hospitals to close, hospital associations argue. The rural floor provision ensures that the wage indexes applied to urban hospitals cannot be lower than the rural area wage index. The intent was to prevent some urban hospitals being paid less than the average rural hospital in their state. But the Medicare Payment Advisory Commission has said that the policy is built on the false dichotomy that hospital wage rates in all urban labor markets are always higher than the average hospital wage rate in rural areas. Also, the CMS has said that the rural floor creates a benefit for a minority of states that is then funded by a majority of states, including states that are overwhelmingly rural. Until the Affordable Care Act, the CMS had required that any payments through wage-index adjustments must use existing funds, or be budget-neutral, within a state. But now that wage-index adjustments are budget-neutral on a national basis, errors in one rural hospital's wage data can have national impact. In fiscal 2018, hospitals had their wage indexes lowered by 0.67% to maintain national budget neutrality with respect to the rural floor, according to the OIG report. In Massachusetts, that meant that 36 urban hospitals would receive a wage index based on hospital wages in Nantucket, home to the only rural hospital contributing to the state's rural floor wage index. The CMS estimated that those 36 hospitals would receive an additional $44 million in inpatient payments. These increased payments were not based on actual local wage rates but on the requirements of the rural floor wage index law. Payment increases resulted in reductions for other states across the country. Also, Nantucket Cottage Hospital submitted inaccurate wage data for 2015, resulting in an overpayment of $133.7 million to all 56 acute-care hospitals in Massachusetts. "The rural floor is not actually linked to prices and costs," Reilly said. "It's a statutory creation." The hold-harmless provision is another sticking point. In 1989, Congress created a geographic reclassification system where hospitals can be reclassified to a higher wage index area if they fulfill certain criteria, including that more than half of the hospital's employees must reside in the requested area. The hold-harmless provision is intended to protect hospitals from having their wage indexes lowered when other hospitals are reclassified to another geographic area. But the wage index of the reclassified hospital is used to calculate the indexes of both its former and new market, which is inherently faulty, according to the OIG report. The report cited Sutter Health affiliate Alta Bates Summit Medical Center's wage data that was used to calculate the wage index for its original geographic area and its reclassification area, as if it had participated 100% in both labor markets, which is not possible, the OIG said. Also, because Alta Bates submitted inaccurate wage data, Medicare overpaid $154,000 to Alta Bates, $1.85 million to the other 13 hospitals in its original geographic area, and $3.4 million to the other 19 hospitals in its reclassification area for 2014. "These are built into the system as ways for hospitals to take totally legal, legitimate advantage of exceptions. They are doing what they are allowed to do," Reilly said. "But MedPAC has said that they distort the integrity of wage index system as a way of making appropriate payments." In 2012, then-HHS Secretary Kathleen Sebelius proposed a system that accounts for hospital hiring patterns by using commuting data to establish a wage index value for each hospital rather than by broader markets. The commuting-based index would use smaller, more discrete labor market areas and only incorporate wage data from hospitals that actually employ workers in that area. Short of a complete overhaul, which the CMS is currently considering, the OIG proposed several recommendations to improve the index. The CMS should seek legislative authority to penalize hospitals that submit inaccurate wage data and work with Medicare administrative contractors to develop a program of in-depth wage data audits at certain hospitals each year that skew their market's wage index, the OIG said. The CMS should also seek legislation that repeal the rural floor and hold-harmless provisions. 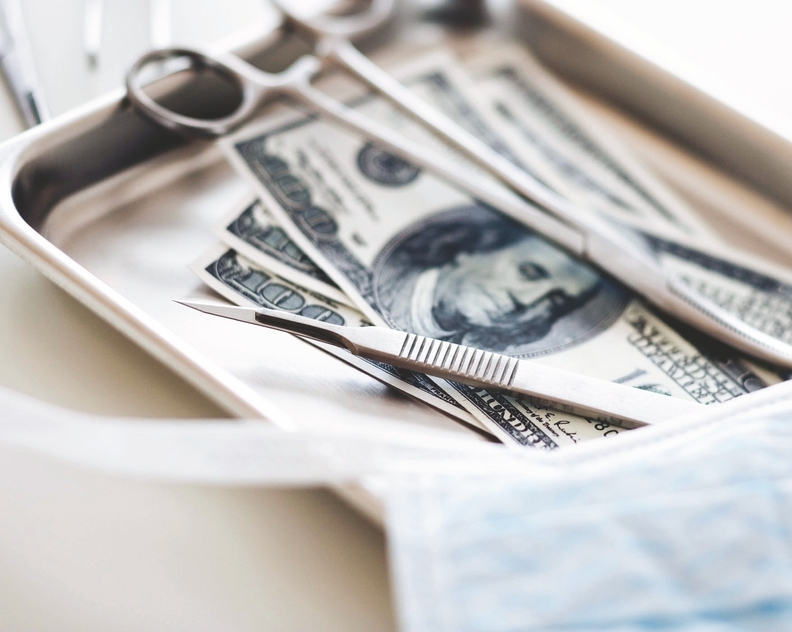 Short of repealing the hold-harmless provision, the CMS should aim to repeal the hold-harmless provisions relating to the wage data of reclassified hospitals. Or, it should look to rescind its own hold-harmless policy to use the wage data of a reclassified hospital to calculate the wage index of its original geographic area. The CMS said it would consider each recommendation except for the last one, stating that using data "from the most hospitals to calculate the average wages for an area provides the most accurate and stable measure." "The whole concept of the inpatient prospective payment system is to accurately compensate hospitals for their reasonable cost in furnishing high-quality care," Reilly said. "If they are not being paid based on the reasonable cost of the system, it is not working as intended."